First and foremost, lets share the most important things about Brandon. He’s a husband to his beautiful wife of 20 years…wow!…and a father to 2 crazy and energetic teenagers. It was his wife’s dream to be a stay-at-home mom to their kids to allow her to raise them as a family, to be there when needed and to teach them the important lessons in life (by example) as their key role model. 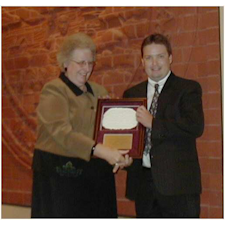 It was Brandon’s dream to provide this same luxury for his wife and children…and so he has taken the role of the sole provider for the past 20 years. While this structure offers no backup-plan in case the business struggles (which always happens from time to time) it also offers the motivation to quickly figure things out…because there is no other option. One of Brandon’s deepest desires is to show his family as much of the world as possible through family vacations, spring breaks and cross-country drives. The demands of owning a business can be both a blessing and a curse when it comes to getting away and it took Brandon many years of trial and error to figure out the exact formula making it all possible. 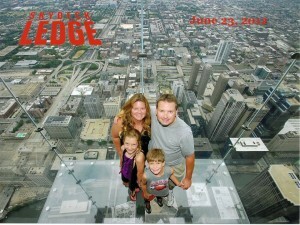 The Dupsky family standing on a glass floor 99 stories up at Willis Tower, Chicago. We’ve taken numerous vacations across the country. Places to see, nature to enjoy and things to learn. Whenever climbing high for that million dollar view is available, it seems we take it! Brandon was invited to speak at an eCommerce conference in Melbourne Australia in 2010. 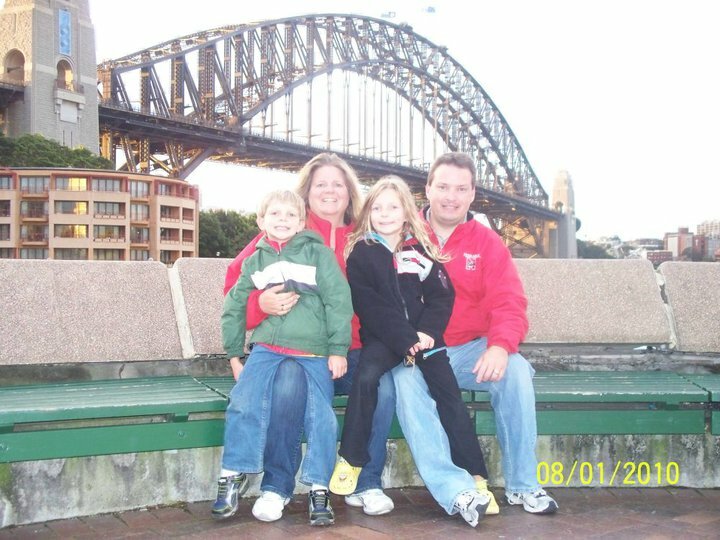 What a great opportunity to take the entire family along and show them a beautiful piece of the other side of the world. We toured both Melbourne and Sidney and would love to go back anytime to explore more of Australia. But there’s still so much of the rest of the world we’d also love to see. 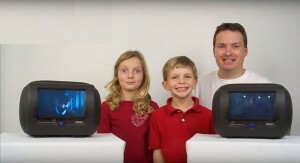 The family helping with the online business. This photo cracks-me-up every time I see it. We were doing a product demonstration video and my daughter decided to be the main entertainment by demonstrating her “Dancing eyebrows” the entire video while my son never wants to disappoint by trying so hard to keep a solid smile the entire shoot. Brandon is well known in the industry as a non-conventional eCommerce seller with over 18 years of eCommerce trailblazing experience where he’s known for doing things ahead of the pack and much of the seller community follow his lead. 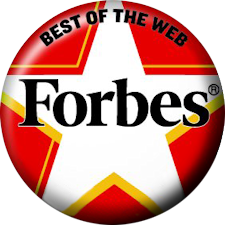 Many of today’s eCommerce selling strategies viewed as “Best Practices” have Brandon’s finger prints all over them. 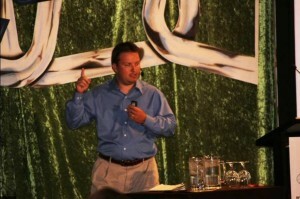 He loves testing new ideas never done before and sharing his successes and failures with the seller community. 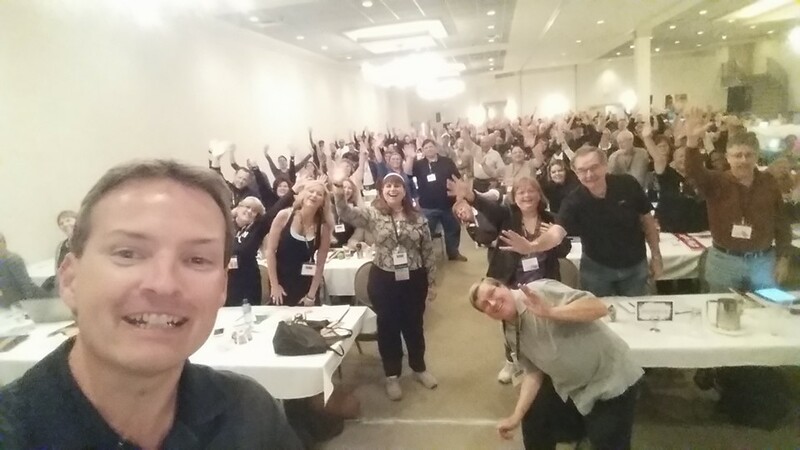 His cutting edge experience makes him one of the most desired eCommerce coaches on the planet for selling on a website, eBay or Amazon. 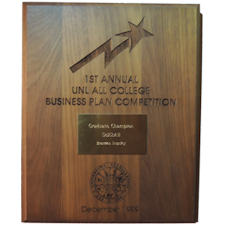 Validating his business ambitions by winning the UNL all college graduate level business plan competition in 1999. He also placed top 10 in other national and global level competitions with VC firms. Hear his story about his real-life SHARK TANK style business plan competition where the winner receives $5,000,000…and he was soooo close! With Brandon’s MBA education and corporate experience he understands the importance of “Knowing Your Numbers” building one of the first real time dashboards to track the entire transaction profitability line by line in a real-time dashboard environment with his dashboard tracking 1,000’s of transactions per day. Having Nebraska in his veins, he called his profitability BEEF and still uses this same technique today. Brandon was the first online retailer to take customer service to a new level creating the first of its kind position called “Delight Manager” focused on delighting the customer pursuing customer metrics never followed before rather than just servicing them. He was also one of the first online sellers to build an automated question and answer portal he called RAPID RESPONSE that offered instant answers to common customer questions without waiting for a person to answer their emails. 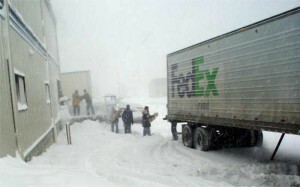 At the peak of his first eCommerce venture, Brandon’s company was shipping out one full 53 foot semi-truck of product from his warehouse each day plus one full 53 foot semi-truck “equivalent” of product from approximately 50 active dropshippers. This photo is from 2003 before Christmas and the truck could not make it all the way to the dock so they hand loading the entire truck one package at a time. Love to hear more great eCommerce entrepreneurship stories? Brandon has a plethora of them and loves sharing! 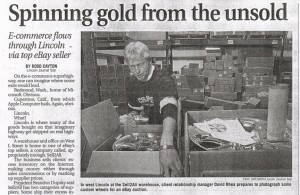 Dive deeper into the early day makings of an eCommerce legend. The war stories, the successes and of course the many failures along the journey. 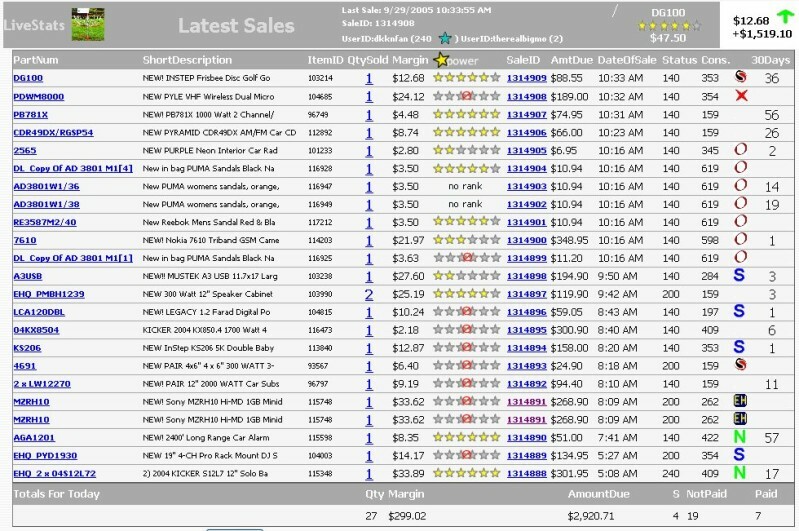 eCommerce Lessons Learned…The Hard Way! 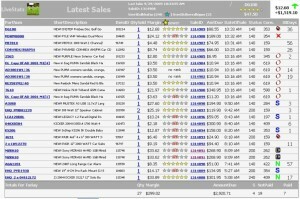 This is a one-of-a-kind story you’ll never hear from other eCommerce coaches. 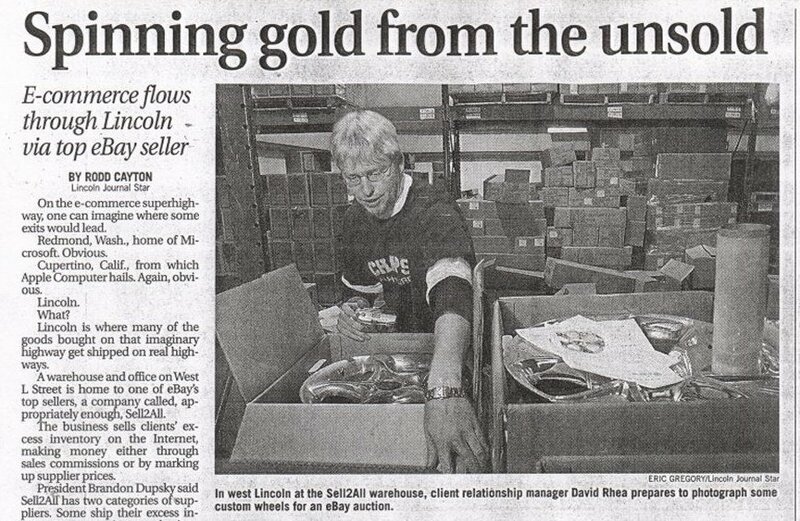 The short version: It was 1999 and Brandon was presenting at the local Chamber of Commerce about his new business to help companies sell excess inventory on eBay. 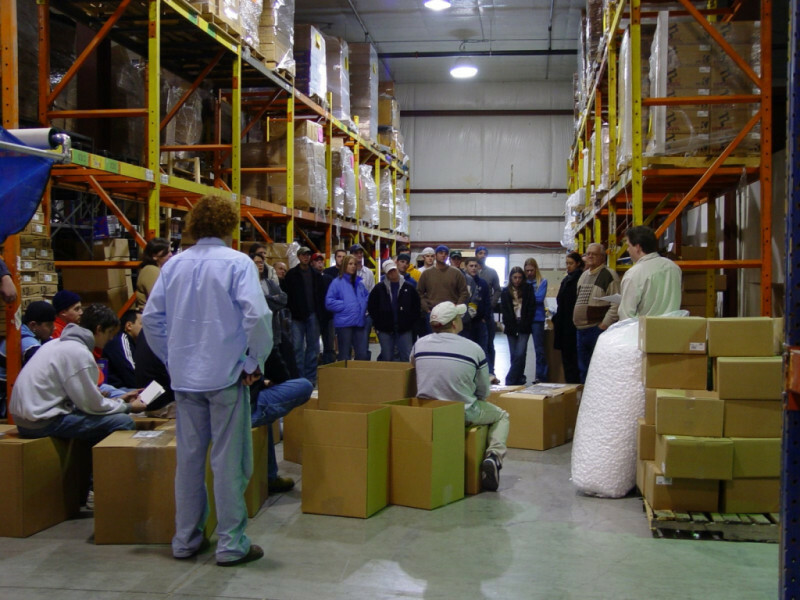 At the end of the presentation he was approached by a business CEO that said he had something BIG he needed to sell and that he’d just have to come over to their warehouse to see it….To read the rest of this story, check out Brandon’s eCommerce Story Time podcasts. No joke! This is a true story. 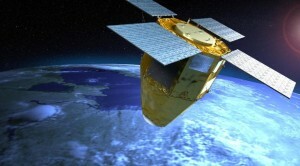 Brandon was approached in 2003 from a business man who was in possession of the largest meteorite ever discovered with the specimen confirmed by NASA to be from Mars. It was one of only thirteen ever discovered. The starting bid was $450,000 and Brandon offered it for sale at the same time Mars would be the closest to earth for over 5,000 years. Of course this made TV and newspaper news headlines across the country. It was certainly a sad time in US history on 9/11/01. Shortly after, our great nation came together to help those affected. This was the first biggest event for eBay to become a conduit for charitable acts and for 9/11 it did just that. A proud moment in eBay history. Celebrities were joining the cause to donate goods and raise money for the 9/11 victims, however they didn’t have the time, desire or know-how to sell their autographed goods on eBay. Brandon came to the rescue and donated his company’s services to help the cause. 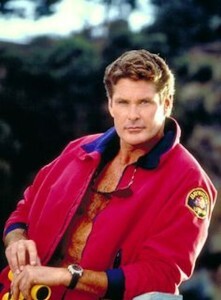 One of the many items he sold…David Hasselhoff’s jacket. The dot.com crash was either an opportunity or a threat to your business. Brandon made it a tremendous opportunity by selling off excess “High End” Cisco equipment for tech companies that needed to pay payroll or go out of business. 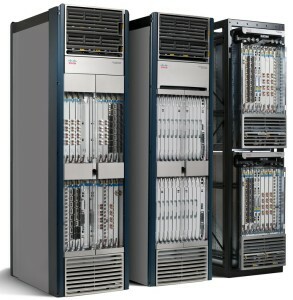 The largest single transaction Brandon made on eBay was in 2000 when he sold a single $250,000 Cisco router for around $75,000 on consignment. This was early in his eCommerce career and he couldn’t believe that a company (the buyer) would wire him $75,000 without question, another company would ship such an expensive piece of equipment without payment yet…and what would happen if this transaction ever went bad or was damaged in shipping (a few sleepless nights for sure). The 20% sales commission was a nice bump to revenue for an early startup. That’s Right! For a couple years you could have watched Brandon on TV talking about selling on eBay. 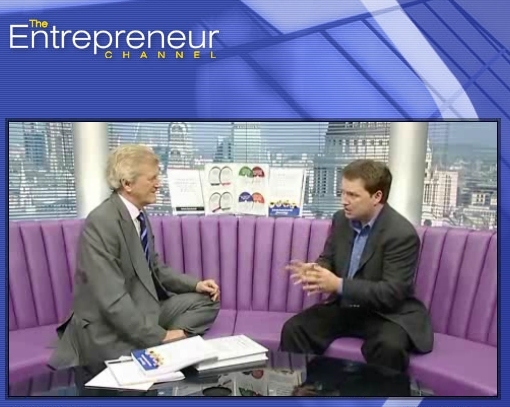 While Brandon was in London, UK doing a presentation at an eCommerce Conference he amazed the audience with his wisdom so much he was given a last minute invite to be a featured speaker for the Entrepreneur Channel. He couldn’t pass up on the opportunity and agreed. It was a 1 hour segment on how to sell on eBay and a total adrenaline rush to produce on a professional TV studio stage with makeup, lights, cameras (3 of them) and a ton of eCommerce Action! The 1 hour episode aired on TV 2 times per day and 7 days per week. Brandon was never a fan of the title and he campaigned obsessively to change it to a more down to earth approach that matched his style. However, he learned when you have partners, you don’t get to make all the final decisions. Sure, he sold millions they would say. Nonetheless, Brandon was super-proud of the final product inside the box. It was a masterpiece of everything he had learned about selling successfully on eBay up to that point. 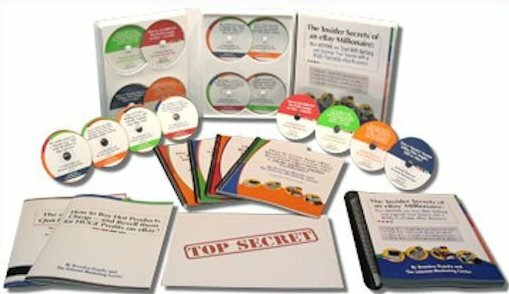 It was over 200 pages, 8 CD’s of audio and guides packed full with very detailed, very informative and extremely helpful advice for the “eBay Newbie” that it became a very popular book and sold many….At $295 each, selling out many times and going to print for run after run. He can’t disclose exactly how many..partners. The best feedback came from entrepreneurs just like Brandon who wished to build a business, support their family and enjoy a lifestyle that may have seemed out of reach. The countless stories of people thanking Brandon for his advice, support and for being so open and sharing with his knowledge is what motivates him to continue the journey of helping online sellers today. This activity was a tremendous demonstration of how much Brandon has risen to the top. PESA stands for the Professional Ebay Seller’s Alliance and was over 2,000 sellers strong filled with the biggest and brightest eBay sellers on the planet. It was a community where sellers come together to share ideas, discuss issues with eBay management and develop ways to make the online selling community stronger. When Brandon was voted onto the PESA Board of Directors it was confirmation of the trust and backing this vibrant community of the top eBay sellers had in Brandon’s ability to lead them, represent them and to guide them with their online businesses. The same businesses they depend on to support their families, the same businesses they call “Their Baby” and the same businesses they have invested countless hours and dollars into building. 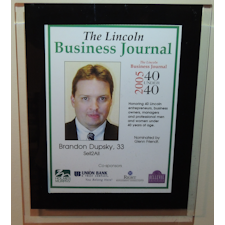 Being voted by the people, for the people to represent the people….we’ll that alone speaks volumes about the type of person Brandon Dupsky is. In Australia, Brandon was invited to share his story about the roller coaster ride you can have as an eCommerce entrepreneur and how to bounce back up whenever you fall. Couldn’t find a great photo of Brandon on stage in London besides the one with him on TV, which you’ve already seen. So here’s a great shot of Big Ben. 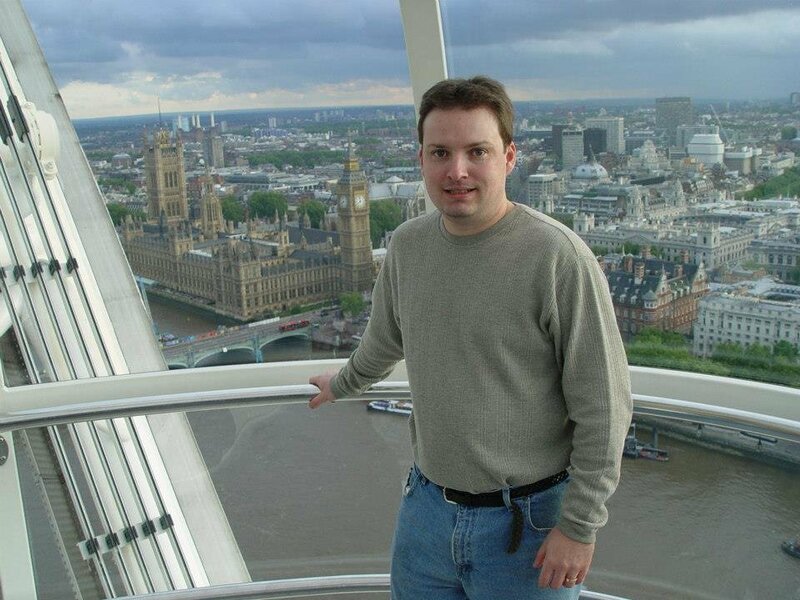 I confess, this photo was taken in 2006 with a flip phone. 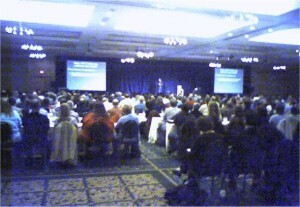 One of Brandon’s first times on stage as the PRIME SPEAKER on the lineup that most of the audience came to see. The day was a long one…but ended a tremendous success and catapulted Brandon’s future speaking career into a traveling show with 2 major city stops each month most hosting 200 to 800 people each. It took an entire event crew to pull them together and each day Brandon was on stage from 9am to 5pm all day as the only speaker of the event. Of course a few bathroom breaks were allowed along the way. So much information was shared in a single day, it was like learning how to sell on eBay from a fire hose. Like a speeding train, Brandon’s business went out of business in 2006. When one of eBay’s largest sellers goes out of business, it’s a very public event making headlines on TV, newspapers and eCommerce blogs. How can someone at the top of the game go out of business? Many factors played a part. Some of them were growing too fast, under-funding, focusing too much on the top line, too many moving parts, losing focus of what we did great, over-investing into overhead, people and technology, increasing competition domestically, trusting the wrong people and the introduction of China sellers changing the economics forever. All great lessons to learn and share with others in hopes to avoid similar mistakes. Brandon 2.0 – would you like to hear the next chapter in this story? Brandon 2.1 – Once you stop learning, you stop growing. Even with starting over from scratch Brandon 2.0 made mistakes, learned from them and continued to improve his eCommerce business. Nothing as major as starting over…so we’ve coined it Brandon 2.1. Simply an upgrade!